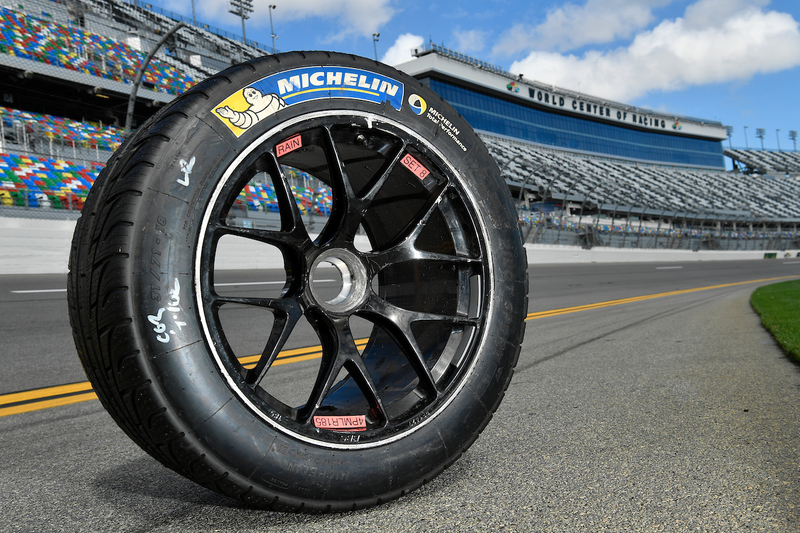 The Rolex 24 At Daytona is the first race for Michelin as the Official Tire of IMSA and is credited with much of the improved speeds including new qualifying records in all three classes and a new all-time event lap record, breaking a 26-year-old record. Chris Baker, Director of Motorsport for Michelin North America, insists that Michelin didn’t come here with specific lap time targets or expectations. 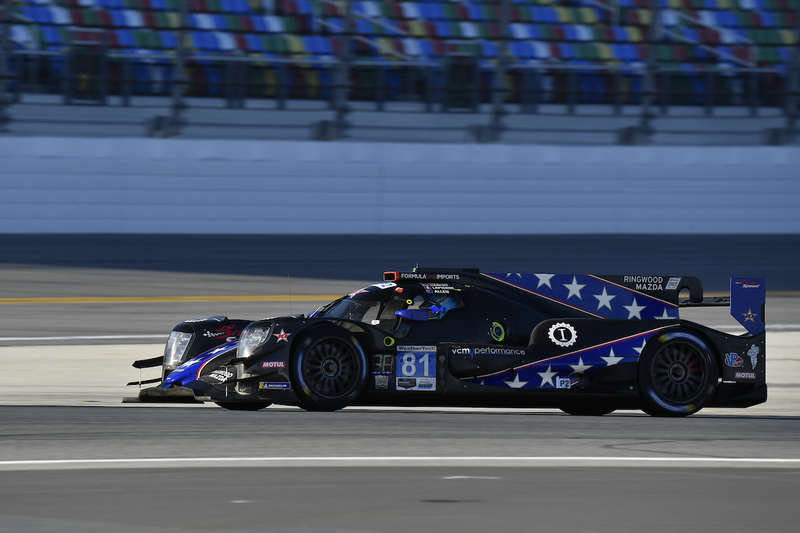 “We are working with many teams for the first time and are much more focused on consistency and set ups that extend performance through full stints,” said Baker. 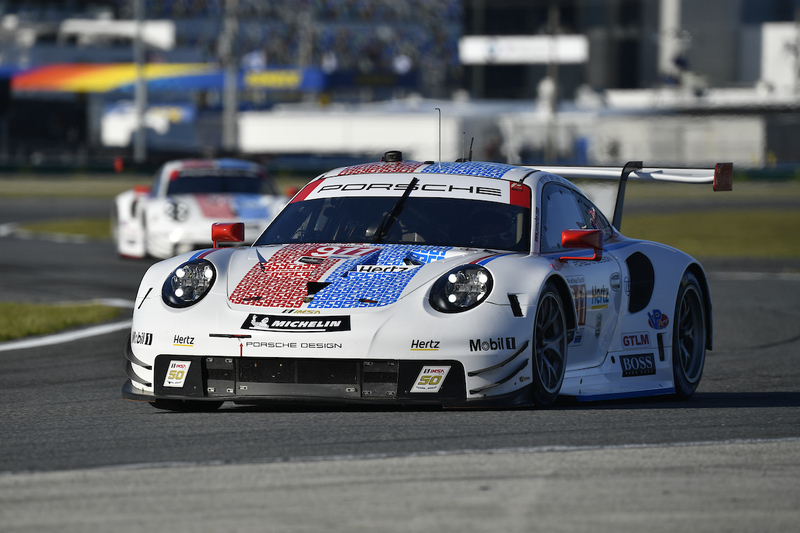 While qualifying records were set in all of the IMSA WeatherTech SportsCar Championship Daytona Prototype international (DPi), GT Le Mans (GTLM) and GT Daytona (GTD) classes, the polesitters weren’t the only ones to beat last year’s times. Here are the different cars that beat the 2018 pole time in class. Also note the top two DPis eclipsed the previous all-time track record. Here are the full qualifying results. 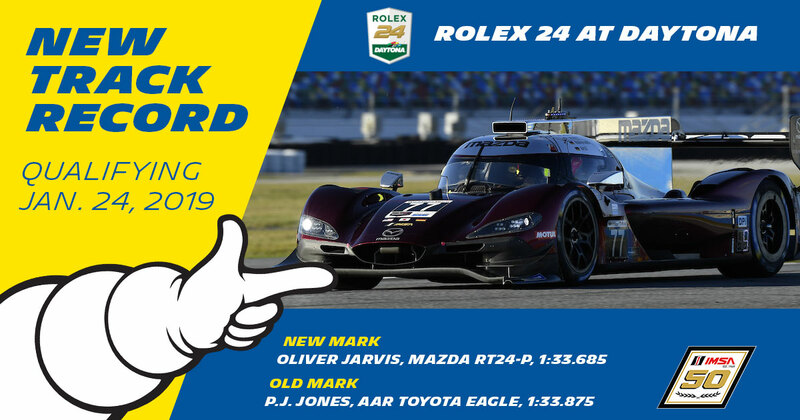 Mazda Team Joest’s Oliver Jarvis set an unofficial lap record in the ROAR Before the Rolex 24 test earlier this month. But an official mark would come only during Thursday’s session. The Englishman delivered a 1:33.685 lap in his No. 77 Mazda RT24-P, to eclipse the 26-year-old mark held by P.J. Jones in an AAR Toyota Eagle. “I was surprised at the ROAR how important the record was. I got a real understanding of what it meant. I was really pleased then… but in the two weeks, I thought a lot about that pole. So beating it after 26 years is pretty incredible,” said Jarvis. He also noted the tough track conditions and low grip, but that Michelin performance excelled in those conditions. “The Michelin tire is a big step forward for us. I had a lot of confidence,” he said. “I didn’t push the first lap, so I actually had a quite a steady first lap. I built a gap on track. Second and third lap I pushed the maximum I could. The tires were there straightaway. Jarvis shares the No. 77 Mazda with Tristan Nunez, Timo Bernhard and Rene Rast. Nick Tandy toppled the old GTLM mark, set last year by Jan Magnussen in the No. 3 Corvette. While Magnussen’s 2018 pole time was 1:42.779, Tandy took the No. 911 Porsche 911 RSR to a 1:42.257. Porsche GT Team revealed a Brumos Racing inspired historic livery on Wednesday. 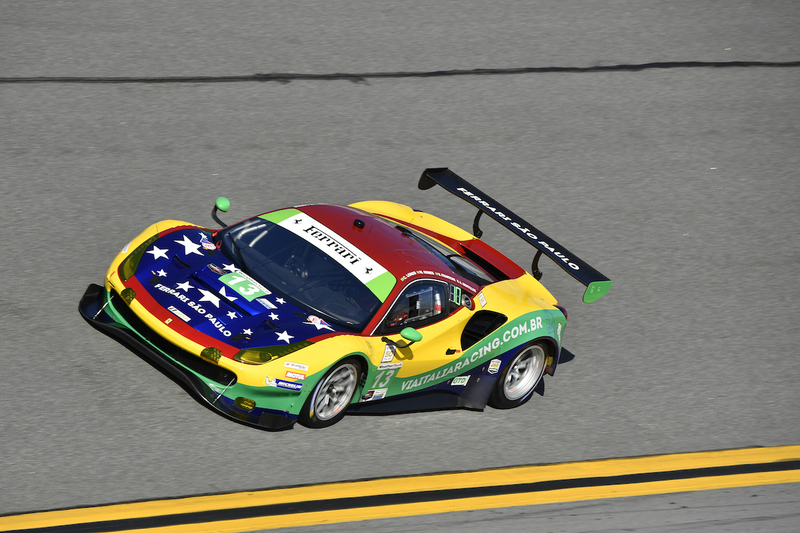 Brazilian driver Marcos Gomes captured the GT Daytona class pole position, also with a new track record. Driving the No. 13 Via Italia Racing Ferrari 488 GT3, Gomes set a best time of 1:45.257. That beat the previous mark set last year by Daniel Serra at 1:46.049. Gomes is the third straight Ferrari pole winner in GTD at Daytona, after Serra last year and Alessandro Pier Guidi in 2017. In the pro/am LMP2 class, James Allen scored the class pole for DragonSpeed in his No. 81 Oreca 07. Allen’s best time was a 1:35.904. While the LMP2 class was under a combined DPi/LMP2 Prototype class, the best LMP2 time in 2018 qualifying was 1:36.318 set by Patricio O’Ward.